"People don't come here and magically love each other. It is a lot harder than you think," said Nitsan, an Israeli Jew at Seeds of Peace. OTISFIELD — Thirty-six hours after arriving at a bucolic lakeside camp in the woods of Maine, Nadeem, 17, a Palestinian from Jerusalem, said Sunday he had gotten over the jet lag from his journey but not his fears from living in a war zone. Nadeem said he lives a 10-minute walk from the spot where a 16-year-old Palestinian boy was kidnapped and killed last month by Jewish extremists in an apparent revenge attack following the abduction and killing of three Israeli teenagers in the occupied West Bank that Israel blamed on Hamas. “I was coming back from my friend’s house at the same time. It could have been me,” said Nadeem, who has deleted all but one or two of his Jewish friends from Facebook this year. 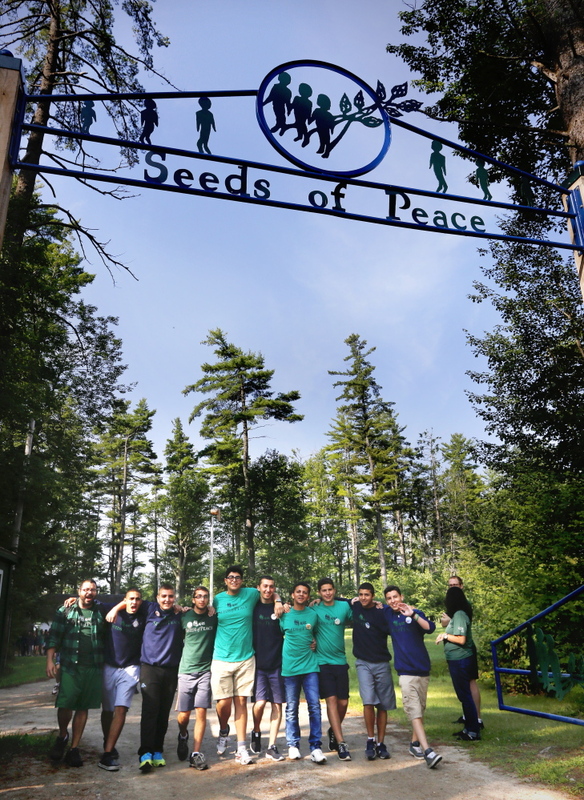 Nadeem is among 95 Israeli and Palestinian youths spending the next three weeks at the Seeds of Peace camp on Pleasant Lake. At a time when Mideast peace seems more elusive than ever, they are trying to put their disagreements aside and understand one another’s perspectives. On Sunday, they met outside the camp gates at a flag-raising ceremony where they sang their national anthems and gave inspirational speeches before a crowd of onlookers. Seeds of Peace works to spark conversations among young people from war-torn regions, including the Middle East. 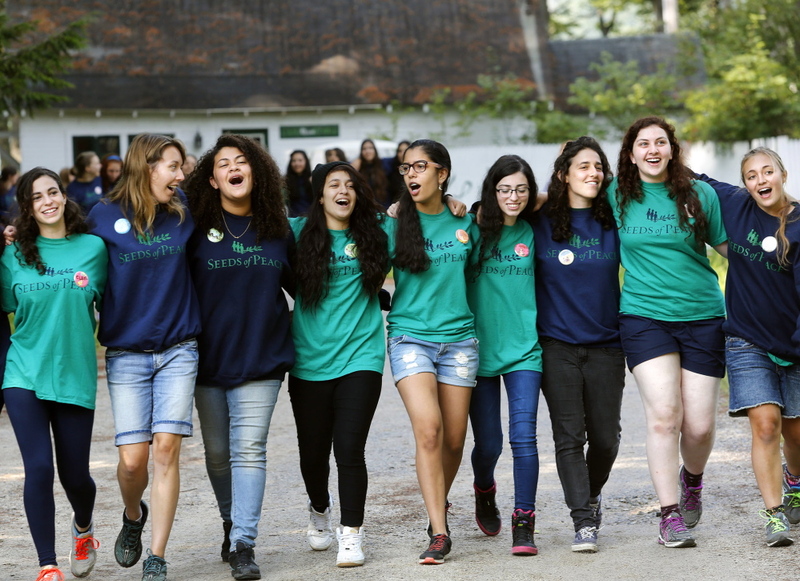 This summer’s second session includes 182 campers from Israel, the Palestinian territories, Afghanistan, the United States, Egypt, Jordan, India and Pakistan. More than 8,000 people apply for the 360 slots offered during the camp’s two summer sessions. Since its inception in 1993, 5,200 campers have gone through the program. Getting many of them from the Middle East to the United States this year was an especially arduous process. At the last minute, eight of the campers didn’t make it out of Gaza. Others had to make detours, spend hours being questioned by border guards and submit to body searches. Many of them said they are worried for their families back home, but the natural beauty of Maine offers some relief from the air raid sirens and rocket attacks. Their last names were withheld from news outlets by camp officials to protect them from retaliation. “It is quite peaceful, connecting to nature,” said Yuval, 17, an Israeli Jew who lives in central Israel, where Palestinian rockets reached for the first time in his life this summer. Spending three weeks sharing a cabin, eating meals and sailing boats together does not necessarily mean you end up as friends, the campers said. But the experience, which includes intensive daily discussions under the supervision of trained counselors, does teach them to listen, they said. “I have become more understanding. I have stopped labeling people,” said Salma, 17, a Palestinian who lives in Gaza. Nitsan, 16, an Israeli Jew from the city of Modi’in, said she finds it difficult to let her guard down. “People don’t come here and magically love each other. It is a lot harder than you think,” said Nitsan. Mohammed, 18, a second-generation resident of a Palestinian refugee camp in Bethlehem, said he doesn’t know how to become friends with Israelis, who are all required to enter military service. “They will be the ones who will bomb my door in the refugee camp,” said Mohammed. Yuval said his mandatory military service is a stumbling block when trying to establish a relationship with a Palestinian. “What I found as a solution to me is not to be the guy who is shooting. 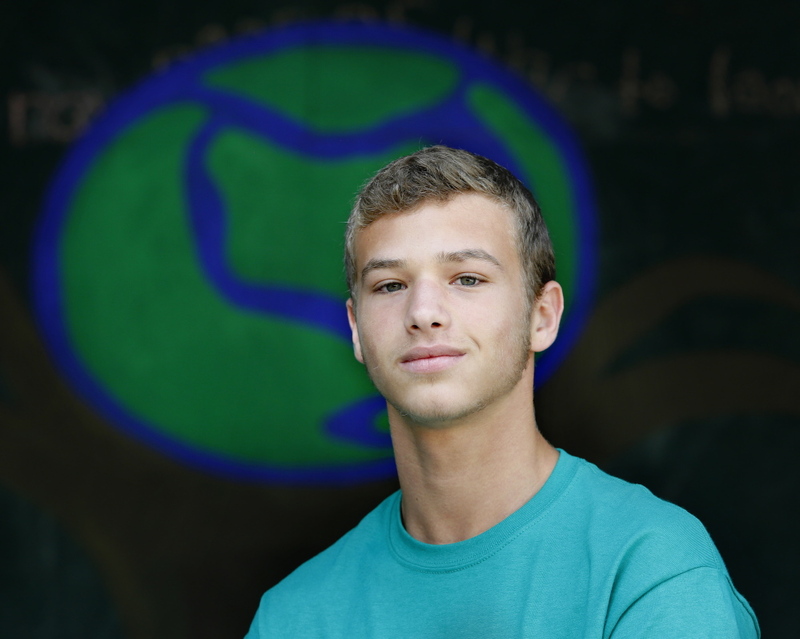 I want to be in intelligence,” said Yuval. Despite the differences and distrust among the Israelis and Palestinians, the camp was filled with the sounds of a happy summer experience Sunday. There was singing and laughing. Campers learned the art of throwing and catching a baseball. The lake was dotted with campers in kayaks, while others walked in groups, arms clasped around one another’s shoulders. “Trusting each other is a process,” said Rema, 17, a Palestinian who lives in northern Israel.